Author(s) Sandroni, Paola; Low, Phillip A. Clinical case studies have long been recognized as a useful adjunct to problem-based learning and continuing professional development. They emphasize the need for clinical reasoning, integrative thinking, problem-solving, communication, teamwork and self-directed learning - all desirable generic skills for health care professionals. 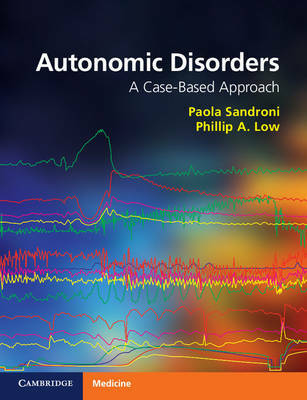 This book is based on the unique autonomic program at the Mayo Clinic, comprising an autonomic laboratory that studies over 4000 patients annually. The authors teach using actual patient material and laboratory recordings to clarify complex autonomic syndromes. Important and common disorders like neurogenic orthostatic hypotension and distal small fiber neuropathy are described in some detail. There are also fascinating uncommon autonomic syndromes described succinctly and clearly. Emphasis is given to clarifying what is real and highlighting those changes that mimic autonomic dysfunction. Providing a broad breadth of coverage with many clinical examples, the book will be of interest to residents and non-specialist practitioners in neurology and cardiology.